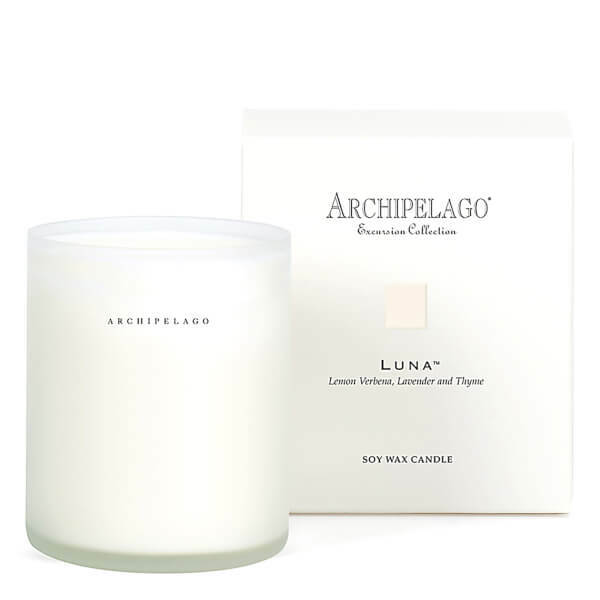 The Archipelago Botanicals Boxed Luna Candle is an uplifting fragrance that will infuse your home with Lemon Verbena, Lavender and Thyme. Hand-crafted from highest quality soy wax, the candles are fragranced with a unique blend of essential oils, aged in small batches. 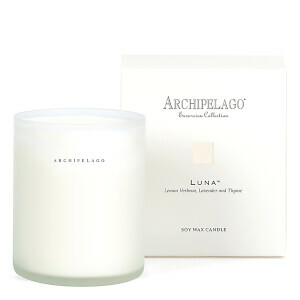 The single wick luxury candle is presented in a frosted jar in a co-ordinating gift box.